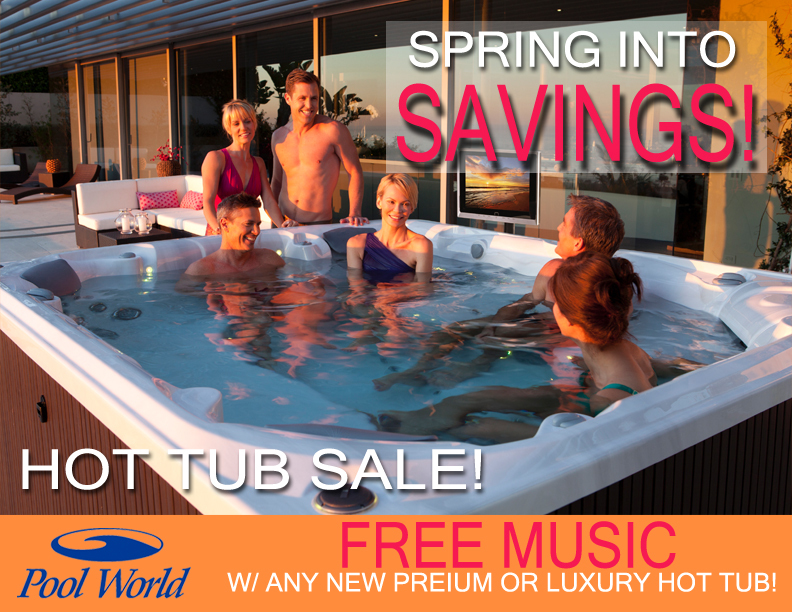 Spring into Savings with a FREE music system on any new premium or luxury hot tub! Caldera Utopia Series represents our finest luxury hot tubs and the ultimate rejuvenation experience. Offering comfort, design, performance and a focus on hydrotherapy through jet configurations. Caldera Paradise Series has a variety of models to choose from that has the ability to accommodate three to seven adults. Every model within the Paradise line has a blend of practical functions and premium options to enhance your hydrotherapy experience. Hot Spring Limelight Collection hot tubs have elegant styling and exceptional performance. Within this line you will find customizable controls, spacious interior, and five distinct models that fit from four to seven adults. The inspiring design and vibrant lighting are unlike any hot tub you’ve experienced. Hot Spring Highlife Collection has been brilliantly designed to provide the ultimate hot tub experience day-in and day-out for years to come. Hot Spring Hot Tubs are the best-selling line because of the innovative jets, filtration, water care and money saving efficiency. Stop into one of our four locations today and ask about all of our Spring Specials!